What’s the most random reason you’ve ever travelled somewhere? 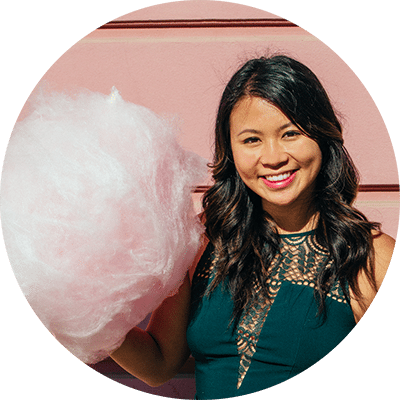 Most people pick their trip destinations with ambitious intentions, whether it’s cultural immersion or a foray into the local cuisine. I’m similarly intentional except at times, I find my intentions to be a tad wackier than the norm. To understand this story, I’ll have to give a brief lesson in the crazy language of German. You see guys, in German, the word for food (Essen) is the same as the verb ‘to eat’ (essen), and also the name of a city (Essen). Ever since the fateful day we learned of a city named Essen in Germany, my boyfriend and I (both novice German learners with a love for quirky and random humour) got wildly excited. After a brief brainstorm, we found ourselves heavily invested in the idea of visiting Essen for the sole purpose of a meal. 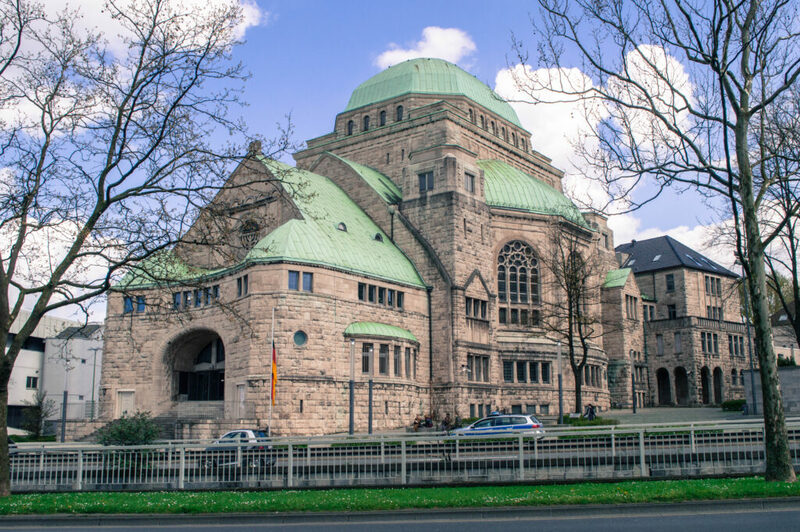 This past March, the opportunity to do so finally presented itself and, en route back home via Dusseldorf, we arranged for a pit stop in Essen to make our essen dreams come true. That is, to essen Essen in Essen at an appropriate essen time. Ugh, I know, it’s pretty cringeworthy, but let’s move on. For our trip, there were only a few certainties: we knew that we needed to essen Essen (eat food) at some point, and we knew that half of our day Saturday would be spent at Wunderland Kalkar watching the ETU European Championship. Besides that, we didn’t have much idea what else would occupy our time. Tourism resources on Essen were (predictably) scarce, and there weren’t many blog posts or articles out there to guide our way. For the first time in a long while, itinerary planning was happening without Google. For our short stay in Essen, we chose the Sheraton Essen as our home base. This turned out to be a marvellous decision, because at check-in, we were given a city map and little magazine guide on sights and things to do/see in Essen. This lifesaving service helped us form our itinerary for the next day, which was jam packed with the best to see in the city. 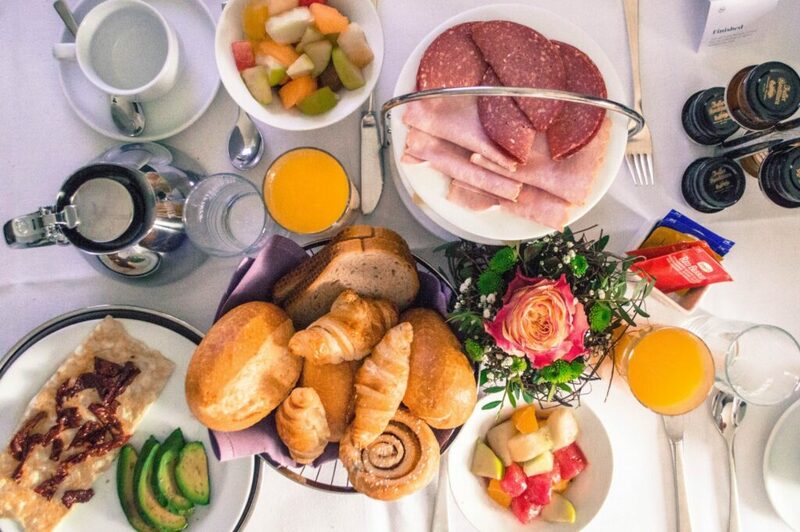 I mean… check out that spread. We caught up on some much needed sleep shortly after arriving and the next morning, after fuelling up on our first bites of essen for the day, we were ready to tackle our loaded schedule. 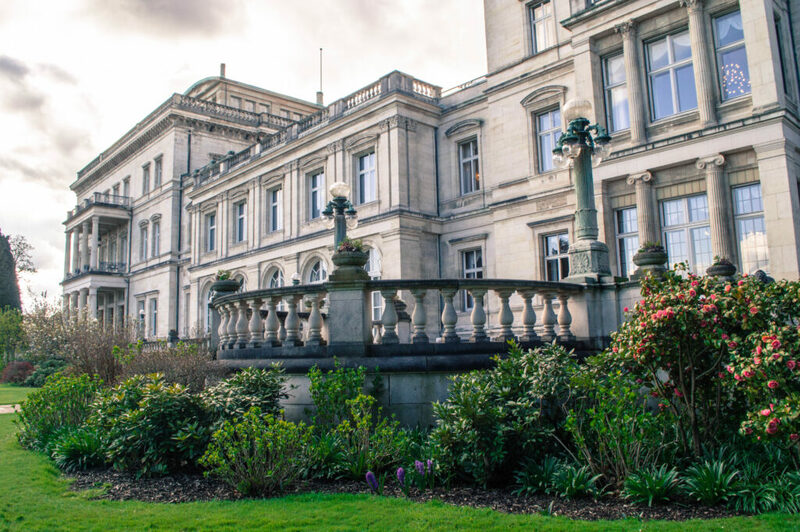 Devoted to the idea of making the most of our day in the city, we hopped around some of Essen’s top sights to see what it had to offer. 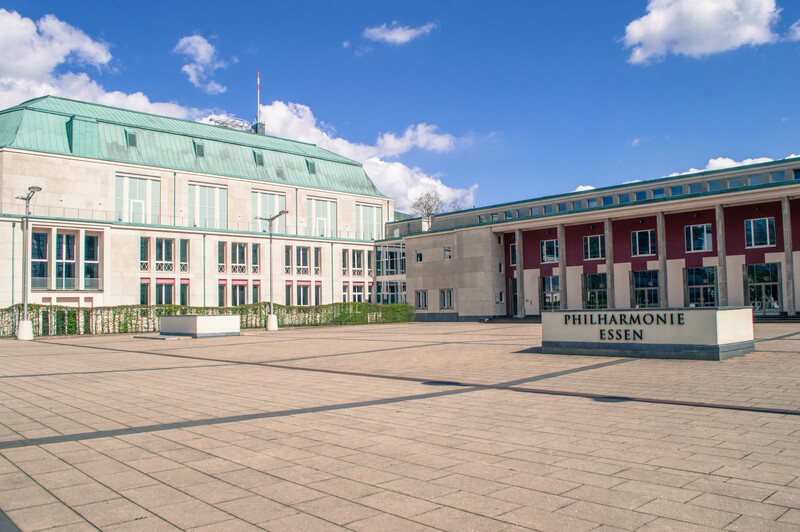 So, wondering what to do in Essen, Germany with a day or two? Here is a little inspiration. 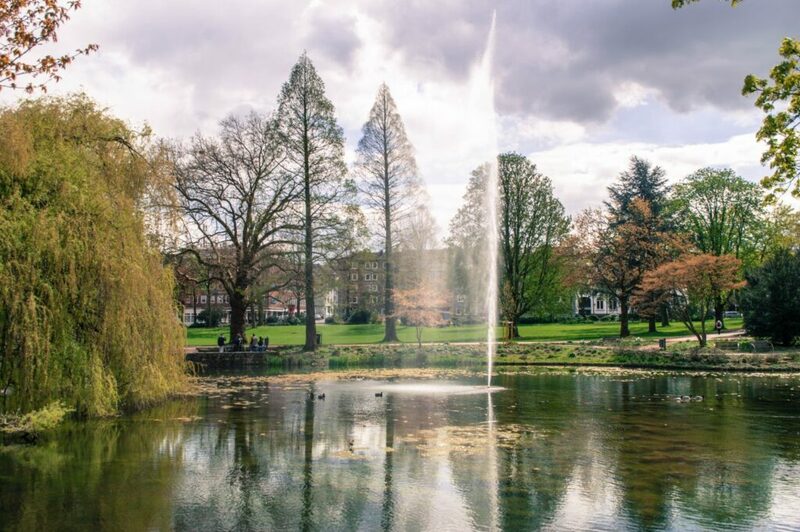 We started off our day with a stroll through Stadtpark, located right behind the Sheraton. It’s the largest green space in the city, but also a delightfully calm and relaxing place to kick off your day. Because all shops close in Germany on Sundays, most people will flock to outdoor public spaces when the weather allows. This made the Stadtpark a great place to people watch before stepping into the bustle of the city. 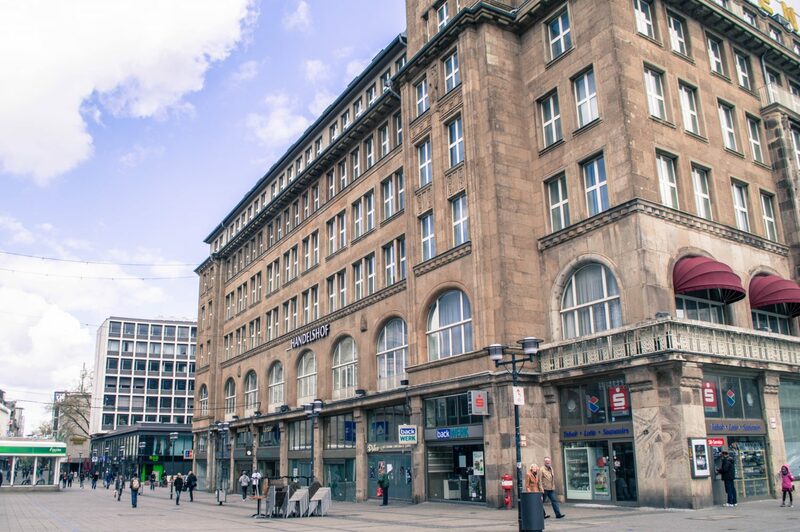 The Essen city center is a wonderful mix of the old and new, with sleek glass buildings sharing block space with classic churches and synagogues. Despite Essen’s reputation as a business hub, it has a long history spanning over 1000 years, and evidence of this exists throughout the city center. On a regular day, shopping opportunities are abundant, but due to Sunday closures, we settled for a simple wander around the centre, nestling into whatever little squares and side streets piqued our interest. Essen is no doubt a modern city, lacking the classic ‘old town’ look characteristic of so many German tourist spots. That said, during our exploration, we discovered plenty of little touches around Essen that lent it distinguishable character and charm. 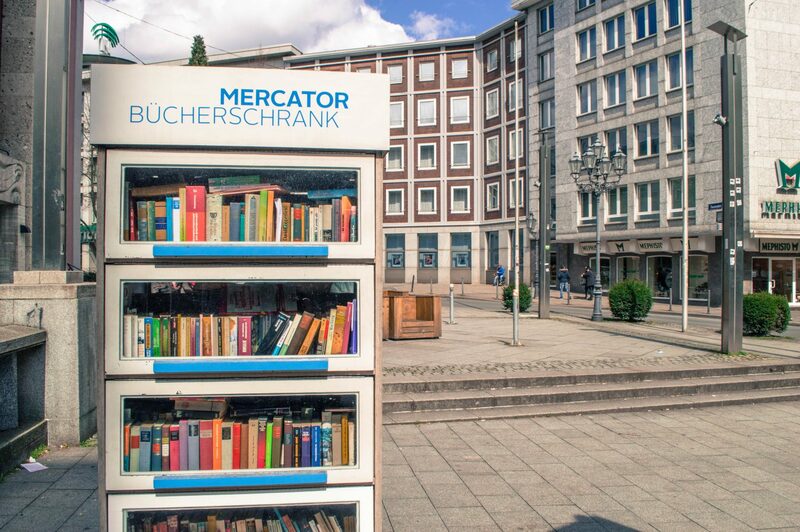 For instance, an in-ground chime board in Willy-Brandt-Platz invited passerbyers to step on and make music, while a free book shelf outside the Grillo-Theatre acted as a pop-up bookstore for curious residents. 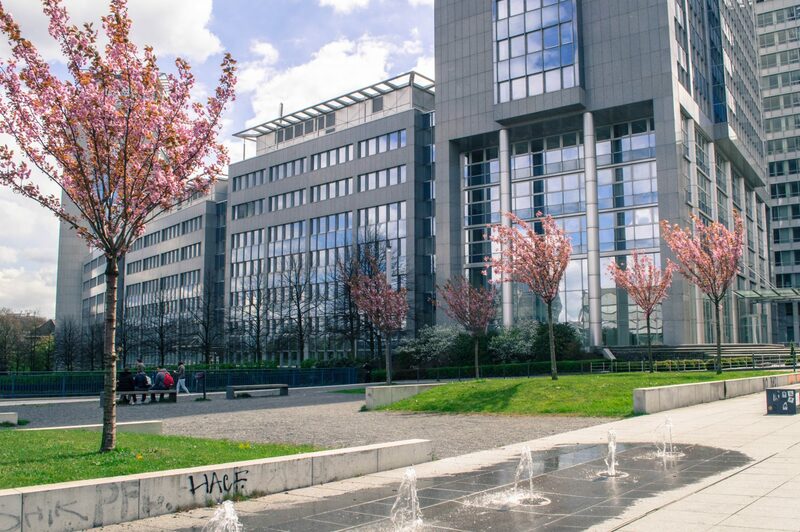 If you look hard enough, you’ll find that there certainly is more to Essen than its status as a commercial center. A beautiful side street in Essen city center! Okay guys, I know what you’re thinking: “did this crazy woman seriously just recommend a coal mine?” Note: I haven’t completely lost my marbles… I am not (and will likely never be) a “coal mine enthusiast”, but Zollverein (one of Essen’s top attractions) is more than just a defunct coal mine. It was once the world’s largest, and is preserved today as a UNESCO World Heritage Site, renowned for its architecture and historical significance, documenting the rise and fall of one of Europe’s most important industries. Visitors can take tours of the grounds, visit some of the site’s museums or (in the summer), take part in the various cultural events held at the former mine. It was a pretty quiet day when we visited (no outdoor pool or concert happening! 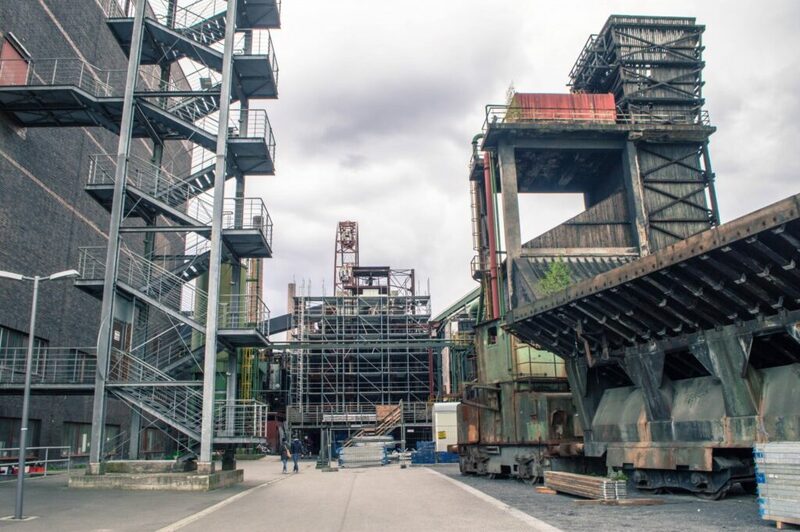 ), so we just spent a while exploring the grounds, feeling quite small next to the massive industrial structures that practically swallowed us up. 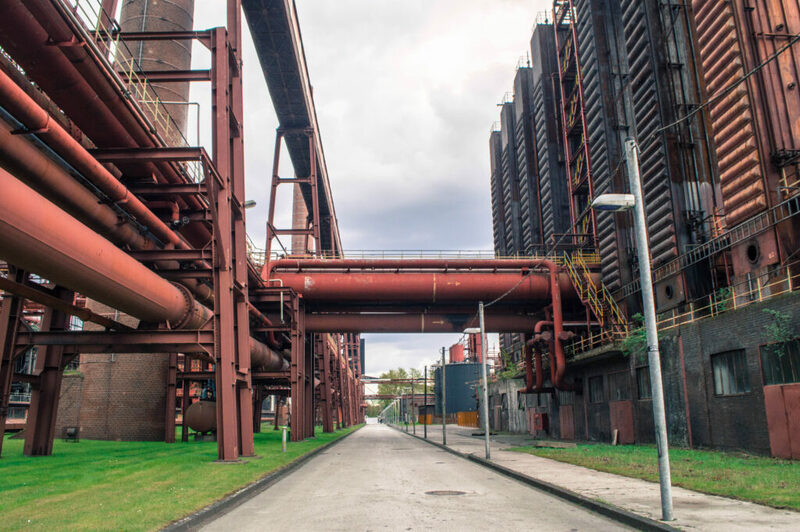 It’s a cool place to roam around and see in Essen, even if coal mines aren’t typically your thing. 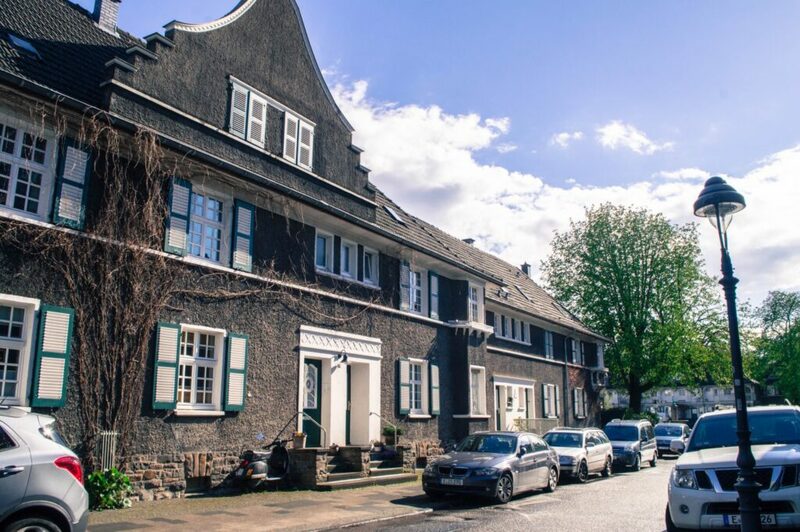 From the industrial to the quaint, next on our list was a walk through Essen’s Margarethenhöhe neighborhood. This swishy residential community is lauded for its exceptional urban design and architecture, created out of a desire to combat stark industrial spaces at the time with appealing yet functional residential communities. Today this little garden town is home to a collection of lovely houses and green space, a wonderful place to wander and imagine a quiet life in Essen, Germany! 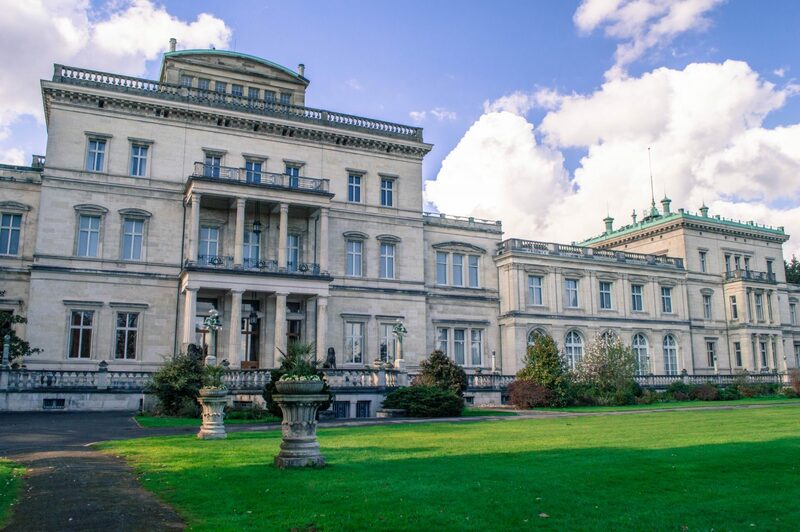 My favourite stop of the day by far was the Villa Hügel, a massive 19th century mansion that once served as residence to Essen’s Krupp Family. Because we had arrived so late in the day, we were unable to tour the inside (which is supposedly spectacular), but the grandeur of the mansion’s exterior and its beautiful 28-hectare park were more than enough to wow me. Walking around, it seemed like we were the only ones there, which made for a peaceful end to our frantic tour around the city. That’s one of the things I appreciated most about Essen – how quiet and untouristy it was. Sometimes it’s nice to just sit back, relax and enjoy a new place, even when it’s not a major visitor’s destination. 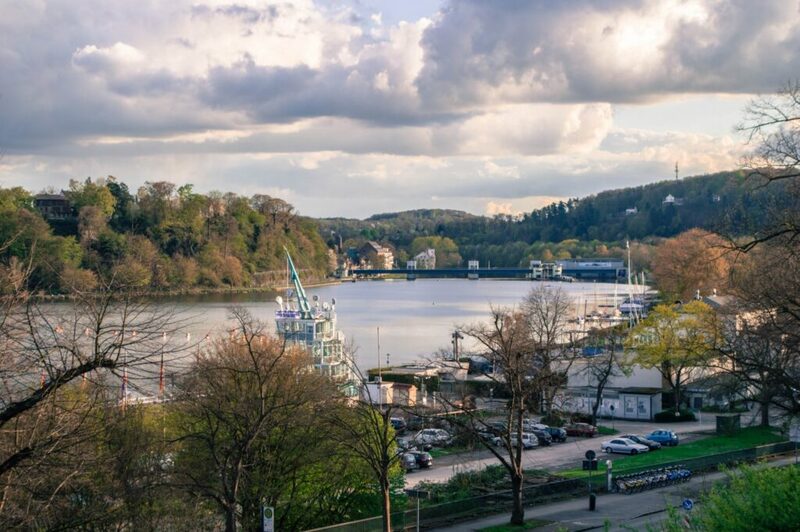 We finished off our day with a sunset dinner featuring this view of the Baldeneysee, a tranquil slice of nature surrounded by lush forests, and a haven for water sports and hiking when the weather is warm enough. Sadly, the cool chill of April didn’t allow for much time on the water, but admiring the views wasn’t bad either! So in the end, what did I think of Essen, Germany? It was a short city break, but one that was oddly and unexpectedly wonderful. I was genuinely surprised by the amount of things we found to do, and in spite of Essen’s lesser known status in the tourism world, it was a lovely place to spend 24 hours. Now over to you – I’ll repeat my question from the beginning! What’s the most random reason you’ve ever gone on a trip, or what’s a really obscure location that you ended up loving? 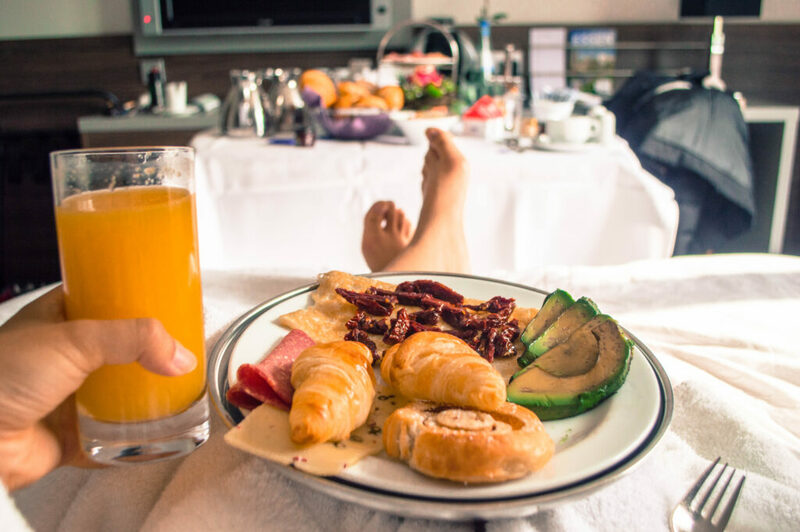 During this trip to Essen, Germany, I was graciously hosted by Sheraton Essen, but opinions (and my love for their sweet gestures and breakfast in bed) are my own. I can’t really think of anywhere I’ve visited without motive (other than just because I’ve had time to kill), but somewhere that I loved (that’s neglected by foreign tourists) after arriving with little, or low expectations was Puente de Dios in the north of Mexico! I love places that are such obscure locations. I count my hometown of Brampton in that mold. So close to Toronto that no one ever thinks of going, but if you look closely (like really close) it actually has a lot to offer! 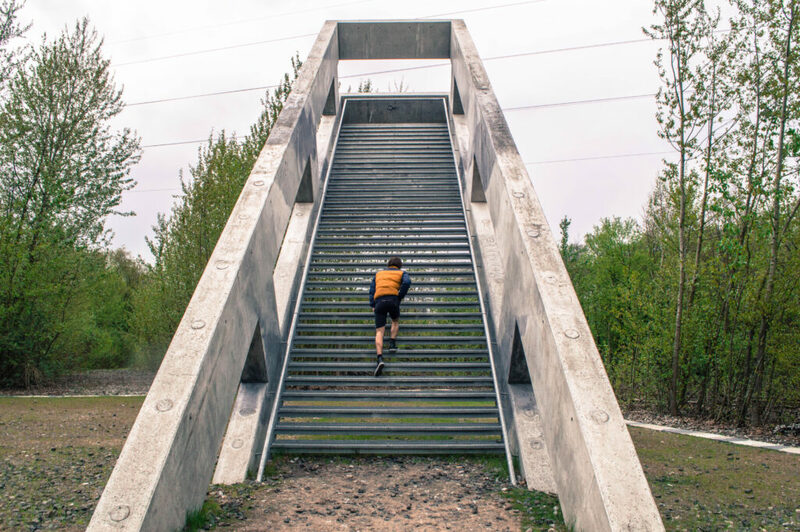 The stairs to nowhere are cool, because sometimes you’ve just got to stair. Essen looks charming and especially I am bowled over by Stadtpark, it looks so beautiful. So you were able to get a lot more on this trip than just ‘Essen”. Precisely 🙂 It was a pleasant surprise to find all the things that we did! It was a lovely city for a quick weekend break, that’s for sure. I loved the ‘essen’ sentence, that made me laugh! I’m not sure why Essen is not as visited as the other cities, because this post clearly showed how gorgeous it is! I’d stay for more than 24 hours. haha so glad you appreciate our odd sense of humour!! That food certainly seems worth the visit! It’s always nice when you get more out of a trip than just the thing you went for, and Essen sounds lovely! I’ve been wishing to see Essen but I tried to avoid palaces as of the moment. I can easily get overwhelmed. Haha. But this makes me decide to plan my trip here and visit explore the coal mine. haha the coal mine is a very ‘different’ kind of tourist attraction but nonetheless one worth visiting. certainly different from palaces, but cool in its own way 🙂 cheers, Jessica! Germany has undergone a fantastic renaissance. We can only hope it isn’t going to lose a handle on its immigration policy. The pull factor Merkel exacerbated could have ramifications for generations to come. only time will tell. thanks for the comment, Milosz! Thank you for the nice words about my hometown! It is always great to get the view from outside and learn to admire the things again that you consider to be “normal”. Some additional tips (for a longer trip maybe): The biggest park actually is the Gruga Park – should not be missed! Right next to it is the Rüttenscheid district with lovely restaurants and shops. 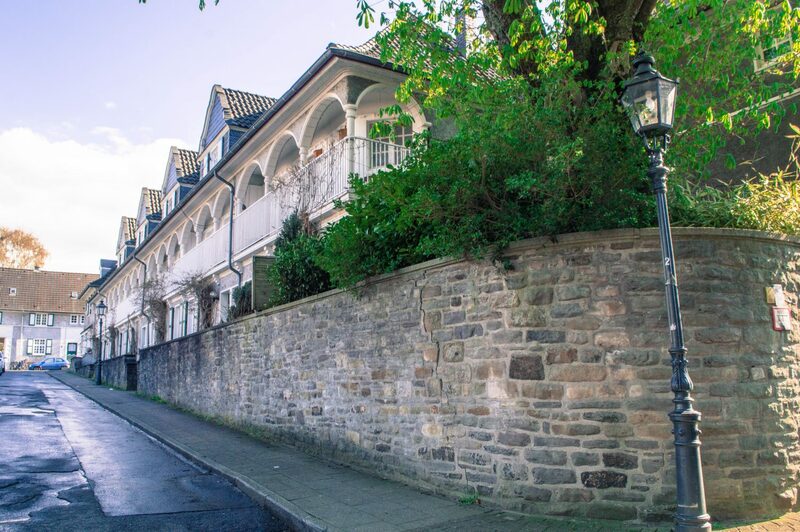 The destrict of Kettwig – directly located at the Ruhr – is a lovely medieval “village” with small stairs and cobblestone roads. 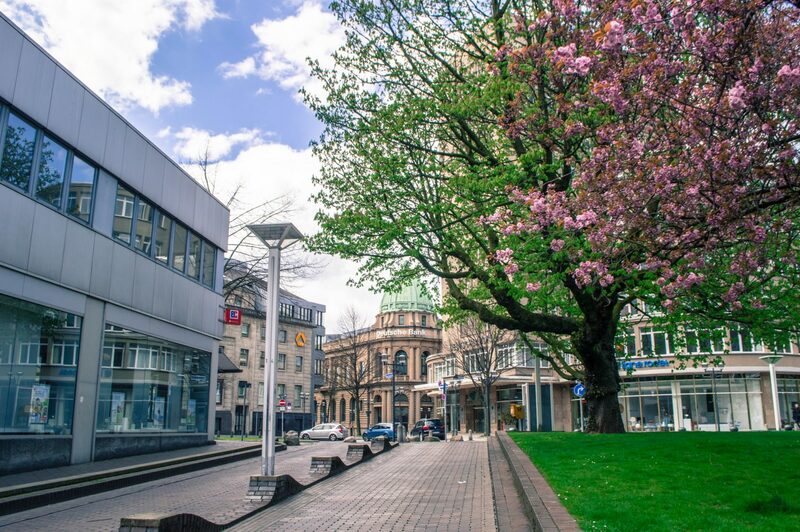 I do live in Essen….nice to read what a perfect city it is….yes, it is! !